March 17th, St Patrick’s Day, sees the sales of cabbage, corned beef, and Guinness, skyrocket. To do our part to boost Guinness sales, we decided to try our new triangle testing procedures out on their widget vs non-widget draught stout. 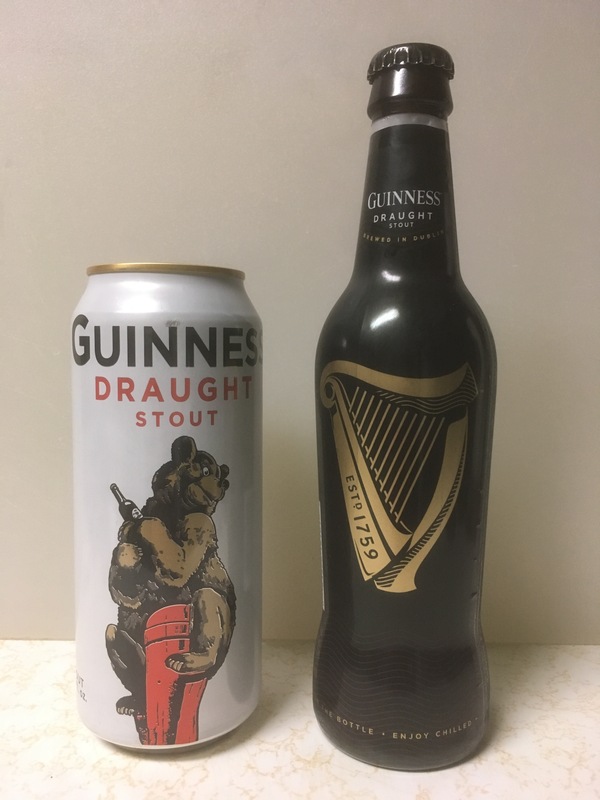 Guinness Draught Stout in a can (that contains a nitrogen widget) and bottle (no widget). The equipment and procedure is exactly as given in Triangle Testing: A Detailed Procedure for Blind Taste Tests of Beverages. Each glass had 3 ounces of beer poured into it. In the first round (A1/F1), both taste testers were confident that they had identified the odd-one-out, but different samples were identified. We then changed the procedures to explicitly involve palate cleansing with water before and during tasting. Round 2 (A2/F2) was conducted on a separate day and used that modification; both testers were able to identify the odd sample AND, while not necessary for a triangle test to be successful, correctly identify which beer that was. In both rounds of tasting, it happened that the sample distribution was the same: of the 3 samples, two were the non-widget version. There were initially concerns that the beer samples would look substantially different. While the blind tasting glasses are opaque, the top surface of the beer would still be visible, so we thought the head might give it away. Fortunately, there was very little visible difference, which may have been the result of measuring the beer before pouring into the tasting glasses. This triangle testing suggests that there is a detectable difference between Guinness draught stout that uses a widget and the version that doesn’t. 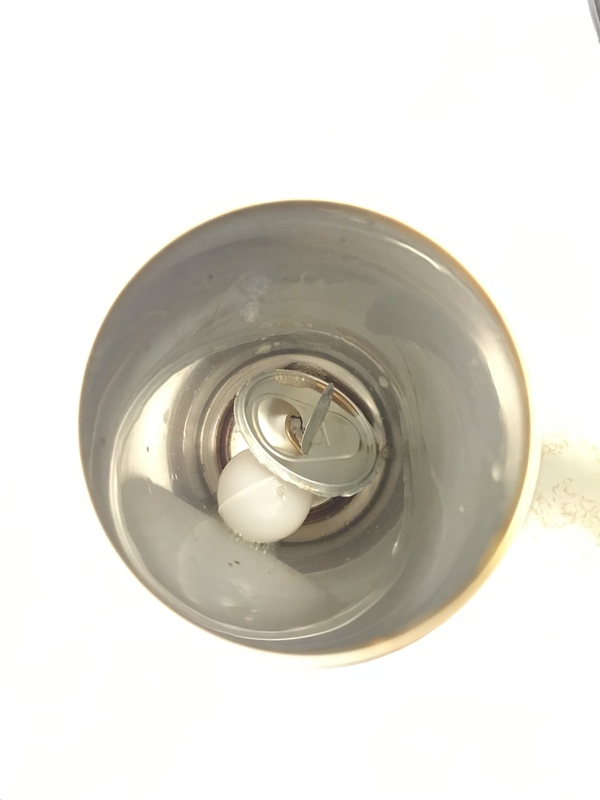 Inside the can: the widget, having given its all, lies at the bottom.